Michael Rafferty started his career in philanthropy in 1981 when he took a job as a one-person development office for a small local affiliate of a national health agency. More than 35 years later, he has worn all of the hats of a development professional, ranging from that Jack-of-All-Trades position in 1981 to two stints as Vice President for Development and one as Executive Director. Michael lives in Brookline, Massachusetts with Julie Rafferty, his wife and business partner, and their dog Jackson. Jackson is Chief of Security at Rafferty Communications Strategies. 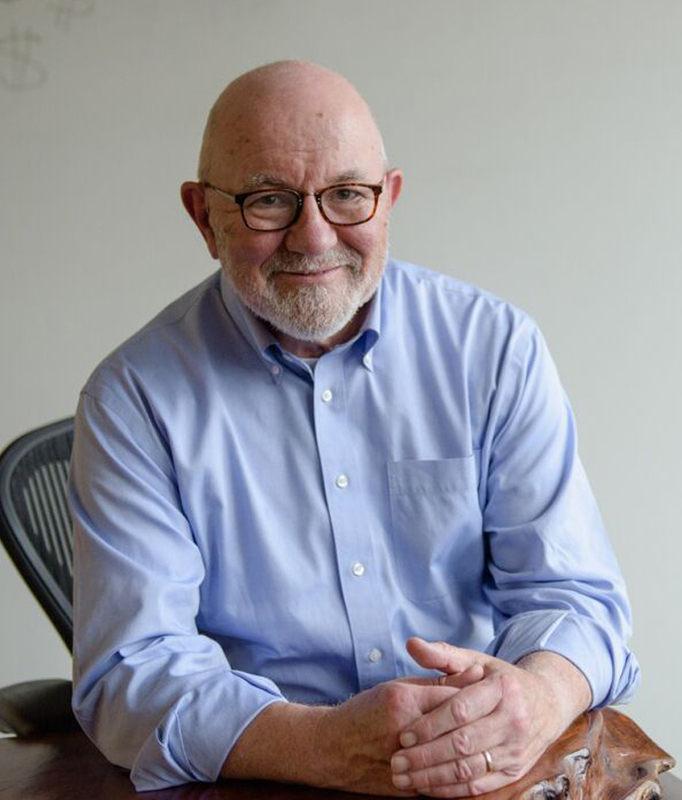 During his 30+ years in fundraising and communications, Michael Rafferty has honed his skills through experiences ranging from grassroots start-up efforts to $90 million capital campaigns, from community-organized special events to seven-figure major-gift solicitations. Michael’s development expertise is in strategic fundraising planning for small and large non-profit organizations. Much of his most recent work is for organizations where the direct beneficiaries of the organization’s service are not themselves philanthropic prospects. His skills include prospect identification, cultivation and solicitation; corporate and foundation relations; grant writing; volunteer management; and strategic communications. In recent years Michael has also expanded his activities to include freelance writing, where he has a special expertise in translating complex scientific concepts for lay audiences and writing compelling patient and donor stories. His work has appeared in Harvard Medical School’s alumni magazine, on Harvard’s Office of Technology Development website, the Boston College School of Nursing alumni magazine, and Esperanza Magazine, a mental health magazine where he has a regular column. Unlike many consultants, Michael’s career has included more than 20 years working directly for non-profits and having front-line responsibility for reaching annual fundraising goals. He has served as director of development at United Cerebral Palsy of Metropolitan Boston, director of corporate and foundation relations at Dana-Farber Cancer Institute and Brigham and Women’s Hospital, vice president for development at Big Brothers of Metro Boston and Tufts Medical Center, and executive director of the Brookline High School 21st Century Fund. In each of these roles his responsibilities included overseeing corporate and foundation fundraising; maintaining a portfolio of major gift prospects; creating major fundraising events ranging from dinners to marathon teams to on-air telethons; managing prospect research; serving as fundraising’s liaison with fiscal services departments; and serving as the primary contact with experts in all fields of medicine; social services; and public school education. His fundraising accomplishments include leading a three-person team that launched the Jimmy Fund’s Triple Winner Program, an in-store fundraising project for Dana-Farber that raised $1 million in its first year and has since raised more than $60 million. Michael also secured $3.6 million from the Cornelius Starr Foundation and Liberty Mutual Corporation in start-up funding for Dana-Farber’s Cancer Risk and Prevention initiative in the Department of Cancer Epidemiology, a program at the forefront of discovery of genetic risk of certain cancers. Also at Dana Farber, he secured funding from a “grateful patient” family to start and endow an annual President’s Award for Excellence in Nursing and led a successful effort to complete a challenge grant from the Kresge Foundation that funded a new Laboratory of X-Ray Crystallography, a basic science program central to rational drug design. At Brigham and Women’s Hospital, his responsibilities included serving as the lead fundraiser for the Brigham’s Community Health programs, for the Department of Endocrinology and for the Department of Anesthesiology. While at the Brigham, he secured a $300,000 grant from the Iacocca Foundation to start a Diabetes During Pregnancy initiative and assisted in securing a $1 million planned gift for the Department of Endocrinology. He also launched the Hospital’s Boston Marathon team, recruiting and supporting a team of 50 runners in the first year and 100 runners in subsequent years, all committed to raising funds on behalf of Community Health. That effort was decisive in meeting a $250,000 challenge grant from the Amelia Peabody Charitable Trust. To learn more, visit Michael’s LinkedIn page.